Comment: My single family, 1600 sq ft residence is located inside Robson Ranch, so appearance is critical. I have limited direct South roof exposure. I have plentiful ESE exposure and a lot of WNW exposure. I would like to incorporate net metering with some battery backup. Robson Ranch will require a pre-construction plan with their approval. Synergy III Mechanical Services, Inc.
Denton Solar Energy Companies are rated 4.88 out of 5 based on 14 reviews of 5 pros. 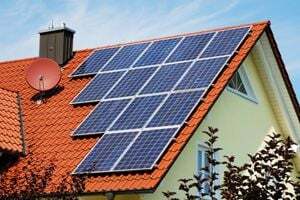 Not Looking for Solar Contractors in Denton, TX?